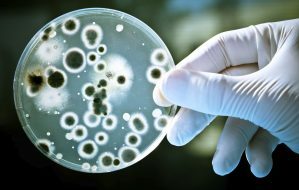 Is the use of antibiotics leading to increased resistance in bacteria? There has been a lot of coverage in the media in recent times about the rise of “superbugs”: bacteria that has become immune to even our strongest antibiotics. Sensationalist headlines predict the end of the world as killer bacteria wipe out the human race, unstoppable in their march thanks to resistance acquired from exposure to antibiotics that are flippantly over-used by hypercondriacs. The theory that is used to justify these headlines is that more we use antibiotics, the more quickly bacteria evolve to resist them, and the faster the drugs stop working. Basically, an arms race where biology is pitted against technology, and where biology will be the inevitable winner as technology eventually runs out of ideas.